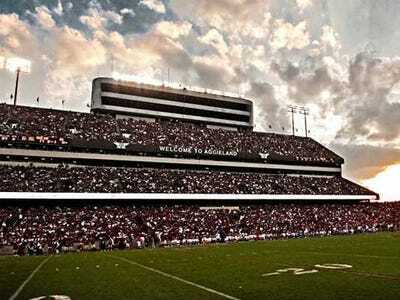 Kyle Field at Texas A&M University has been shut down for the rest of the day after a bomb threat was issued against the facility, according to the university. The threat, which was reported around 10:50 a.m. CST, was written on the wall of a non-academic campus building, according to the university. As of 1:28 p.m. CST, the field was still being searched by law enforcement and there was no new information according to the university. The surrounding buildings were also closed for the rest of the day. Kyle field, home to the university’s football games, can hold up to 82,589 people. This is a developing story. We’ll bring you updates as the story develops.